Marg and I started our second lap quilt last week. This is how far we got. A few more blocks got added. 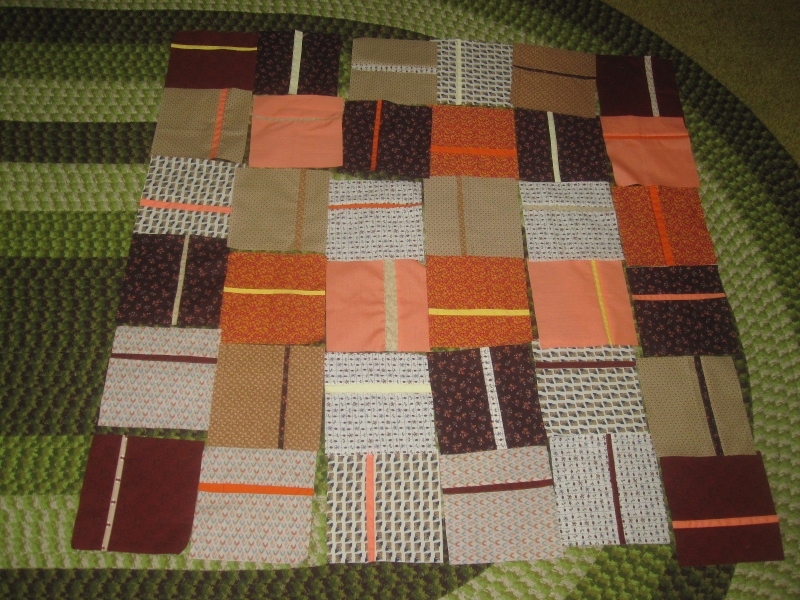 I brought a couple fabrics from home that I thought would blend well. Those are Marg's feet. 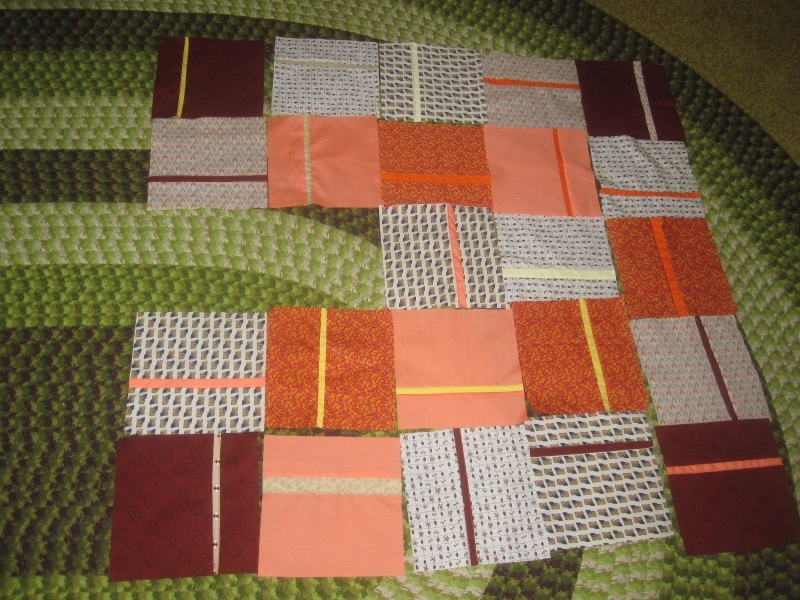 As I sewed, Marg ironed and then laid out the blocks. 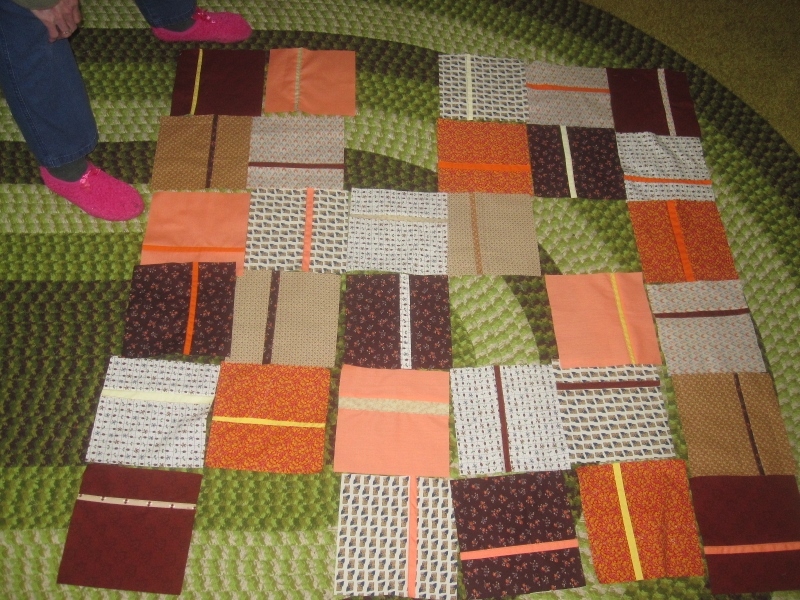 After cutting, sewing, ironing and trimming, we needed five more blocks. Then we needed just two more. More shifting of the blocks. It's a never ending process. Moving blocks so that the overall quilt top is pleasing to the eye. I think we're done and this is the end result. 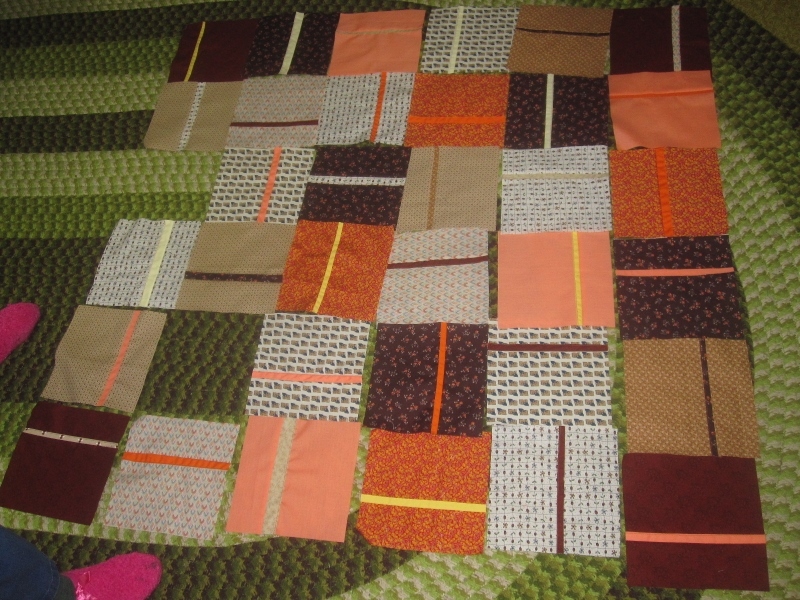 It will be sewn together the next time we get together. I am not sure what I imagined the orange and brown would be, this is fantastic, love those blocks. So many possibilities and lots of work moving them around. Well done! 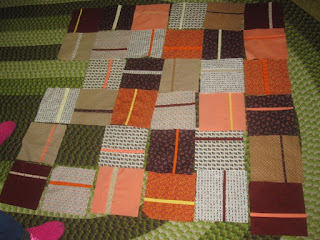 Sometimes taking a picture of the setting helps to see where there is too much of a certain fabric or colour. These are nice and warm colours.